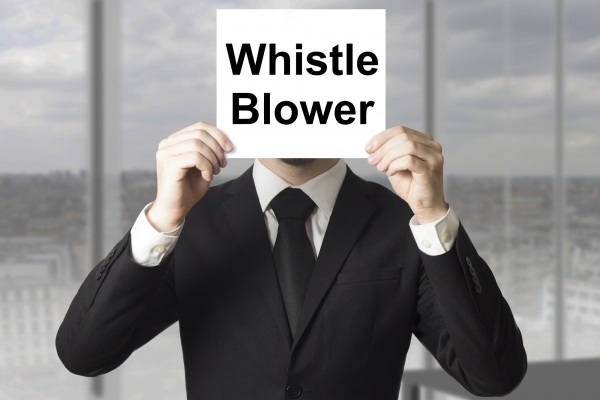 Reporting Misuse Or Waste Of Federal And State Money: Do Whistleblower Protection Laws Apply? On behalf of Admin of JML Law, A Professional Law Corporation posted in Whistleblower on Saturday, Sep 29 2018. You have probably heard the theory that all those who get access to state and federal funds eventually lose their minds and cannot help but engage in fraudulent activities and misuse the funds. Personal gain is all they care about it, but the worst part is that they enrich their pockets at the expense of thousands or even millions of other people. The fraud and misuse involving federal funds is even more serious than fraud involving state money and can do much more damage to a larger group of people across the country. Although fraud involving state and federal money is a crime punishable by law, the vast majority of those who misuse state and federal funds get away with it. Contrary to the popular belief, it does not necessarily have to be one individual within the state or federal government who misuses the money. Oftentimes, several people within the government or even the entire government use the money received from the state or federal budget for anything but the purpose it was given. Overspending, money laundering, bribes, embezzlement, making false reports to receive funding that is not necessary, and providing false reports to make it look as if the money that was received for a certain purpose was used for this specific purpose. There are many tactics employed by dishonest and fraudulent officials and governments to engage in the waste and misuse of federal and state funds. But there is actually a way to fight this. It is understandable that it is rather difficult for federal government bodies to oversee everything that goes on on the local levels to ensure that the money state and local governments receive is used appropriately. “A federal employee who suspects misuse or waste of state funds is often the only one who can truly fight this,” says our Los Angeles whistleblower attorney at JML Law. For all those who do not believe that they can make a difference, there are laws encouraging these employees to come forward and report fraud involving federal and state funds. Under California whistleblower protection law, anyone who reports the fraud is protected against retaliation. In fact, if they wish, their identity will remain confidential. In addition to that, in case you experience any retaliation, your whistleblower attorney in Los Angeles or elsewhere in California will be able to get compensation on your behalf. How to report fraud involving federal or state funds? Who committed the fraudulent activity (person, company, government, etc.)? What did this party do exactly? How was this fraudulent activity committed? Do you have any ideas as to why the party committed the wrongdoing? Who else has the knowledge of or witnessed the wrongdoing? Failure to provide sufficient information in your claim may make it impossible to determine whether any wrongdoing has occurred. In any case, it is always a good idea to be represented by a Los Angeles whistleblower attorney to ensure that you are not being retaliated against. Contact JML Law to get a free consultation about your particular case. Call at 818-610-8800.